Is Ontario's patient ombudsman next on the Ford government chopping block? Ontario Health Minister Christine Elliott won't indicate whether her former job as the province's patient ombudsman is on the chopping block. The role has been vacant since she quit in February and there's no indication her government is searching for a replacement. 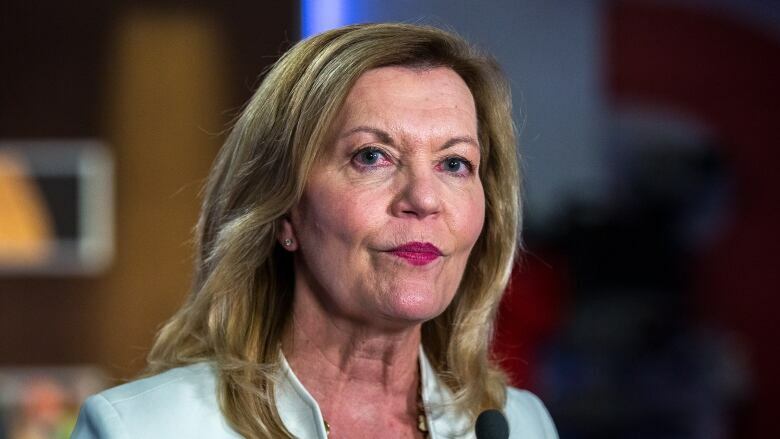 Ontario's health minister Christine Elliott says she takes patient care seriously but won't say whether her former job —Ontario's patient ombudsman — will be kept or cut by her government. Elliott quit the high-paying job in February when she decided to run for the leadership of the Ontario Progressive Conservative party. She lost to Premier Doug Ford but won a seat in the June election and Ford tapped her to be deputy premier and health minister. The Ford government has not appointed a new patient ombudsman to replace Elliott and the office is currently being led by its executive director Craig Thompson. There is speculation at the legislature that Ford does not intend to fill the vacancy. On the patient ombudsman website it says there are "no new job openings." Requests to interview Elliott about her former position and its fate were declined. "Minister Elliott takes patient care very seriously," a statement from press secretary Hayley Chazan said. It went on to blame the previous Liberal government for mismanaging Ontario's health care system. Elliott's office was asked repeatedly whether the Ford government is committed to keeping the position or if it is under review as part of its effort to cut costs. Her press secretary would not answer the question. If Ford decides to scrap it, Elliott could find herself having to defend the elimination of her old job. "The office has been in limbo since February," the NDP's health critic France Gé​linas told CBC News. "The rumours circulating at Queen's Park are that the office will be eliminated and the responsibility will go to the ombudsman." 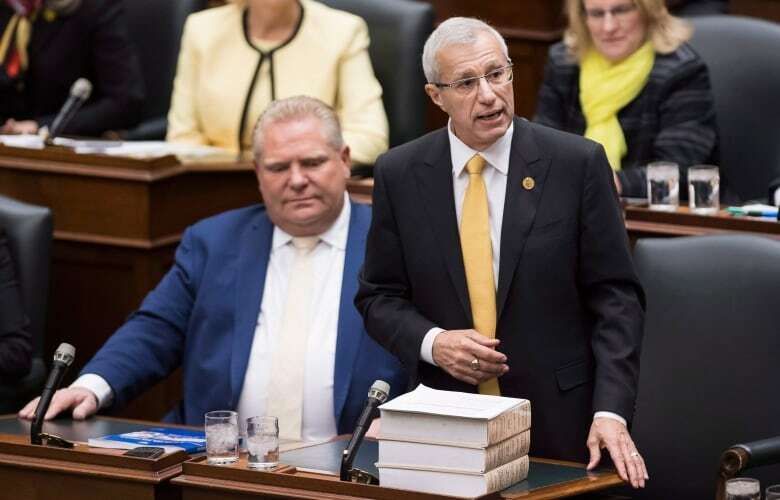 The Ford government recently announced it intended to shut down the offices of the French Language Services commissioner and the child advocate and shift their responsibilities to the Ontario Ombudsman Paul Dubé. Gélinas said she has not heard anything official that Ford's government is going to take the same direction with the patient ombudsman. 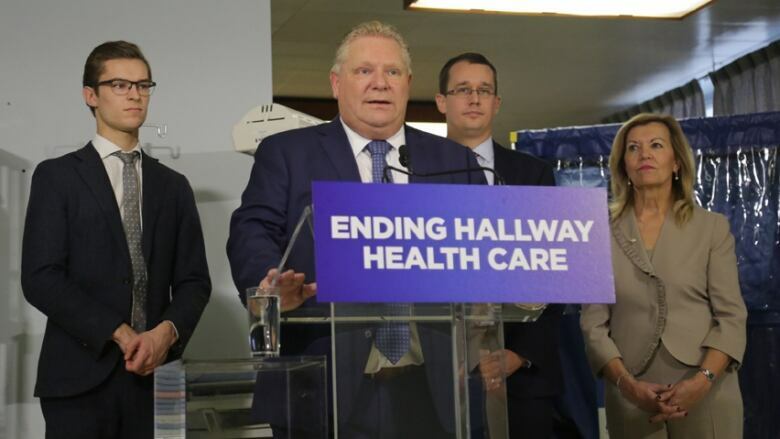 Interim Liberal Leader John Fraser said the fact that Ford hasn't appointed a new patient ombudsman yet is a signal the PC's are considering cutting the role. 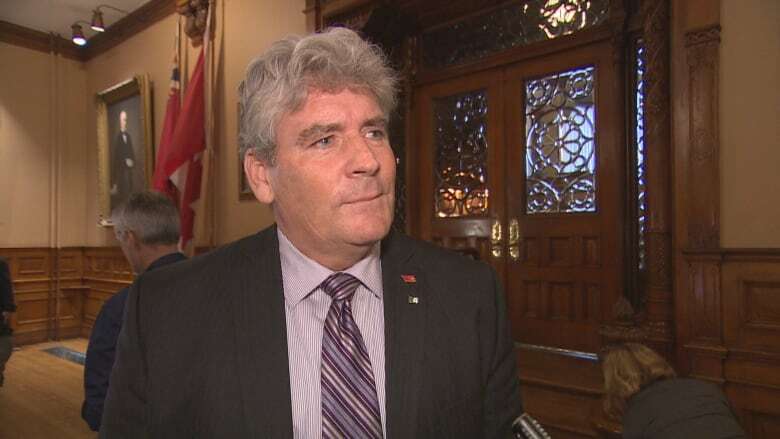 "I would think that given the move that they've taken to eliminate independent officers in the Legislature, that the patient ombudsman is at risk," he told CBC News. Fraser said he's concerned the office is on the chopping block and he'd like to see it maintained. "It's important for people who are having difficulty accessing the care they need and they don't know where to turn. The ombudsman and the staff do that every day," he said. The Liberals created the position when they were in power and the office launched in 2016 with Elliott, a former PC MPP at the time, at the helm. The office responds to complaints from current or former patients, or their caregivers, about their experiences with the health-care system. It's meant to be a last resort if patients and their health-care providers can't resolve problems on their own. It can also undertake investigations and make recommendations to health care organizations. The patient ombudsman is not an independent officer of the legislature, however. It falls under Health Quality Ontario — a government agency that monitors quality in health care and provides advice to government and health care providers. Doris Grinspun, chief executive officer of the Registered Nurses' Association of Ontario, said the position never should have been put under Health Quality Ontario. "It needs to be independent," she told CBC News. Grinspun said Ford should make the patient ombudsman an independent officer of the legislature, and if not, then fold it into the general ombudsman's office. But the position should not be eliminated, she said. "The public needs to have a point of contact to speak about health system experiences and improvements we need to do. We have a lot to learn from the public and at the end of the day they are the recipients of the care," she said. If Ford cuts the job completely, "a voice will be lost — the voice of the public," Grinspun said. The public has increasingly been using the office since it opened. In its first year it received 2,000 complaints and the following year it was up to 2,300. So far this year between July and October it's taken in 850 complaints, a higher monthly average than the year before. With the top job vacant, the office now has 17 staff which includes early resolution specialists, investigators and other staff. The operating budget is $3.7 million. When Elliott left the job she was earning $203,543. 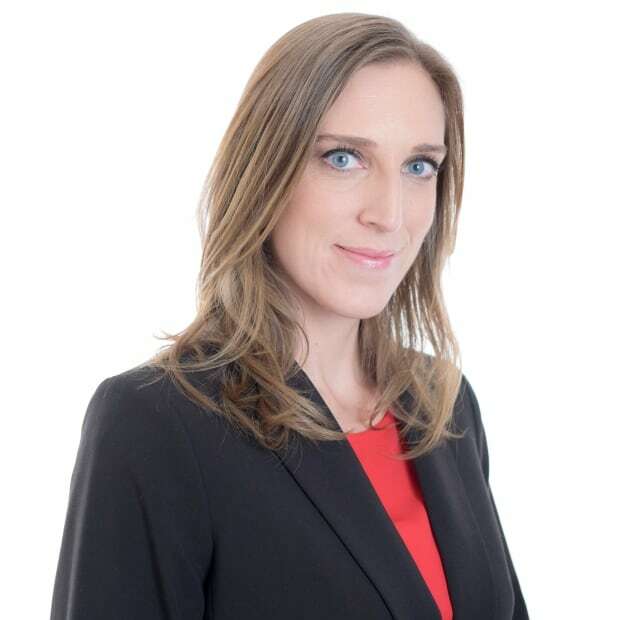 Laura Williams, director of patient engagement at Toronto's University Health Network (UHN), said her office has worked with the patient ombudsman office on multiple occasions to resolve complaints by patients in UHN's care. It can be helpful to have people outside of the hospital walls take a look at a situation and provide a "unique lens," she said. "It is a collaborative process and gives us another opportunity to reflect and look at things from a different perspective." If the government does decide to keep the role but fold it into the broader ombudsman office, it won't get any opposition from the NDP. Gélinas said the patient ombudsman's mandate is currently too limited and moving it into the overall ombudsman office would be a way to broaden it. She said she's confident the ombudsman would be able to absorb the patient ombudsman duties. The Liberals don't share that confidence. "The ombudsman has a pretty broad mandate; when you start to fold things in, they become diminished as a priority," said Fraser. Ford's office declined the opportunity to comment for this story.